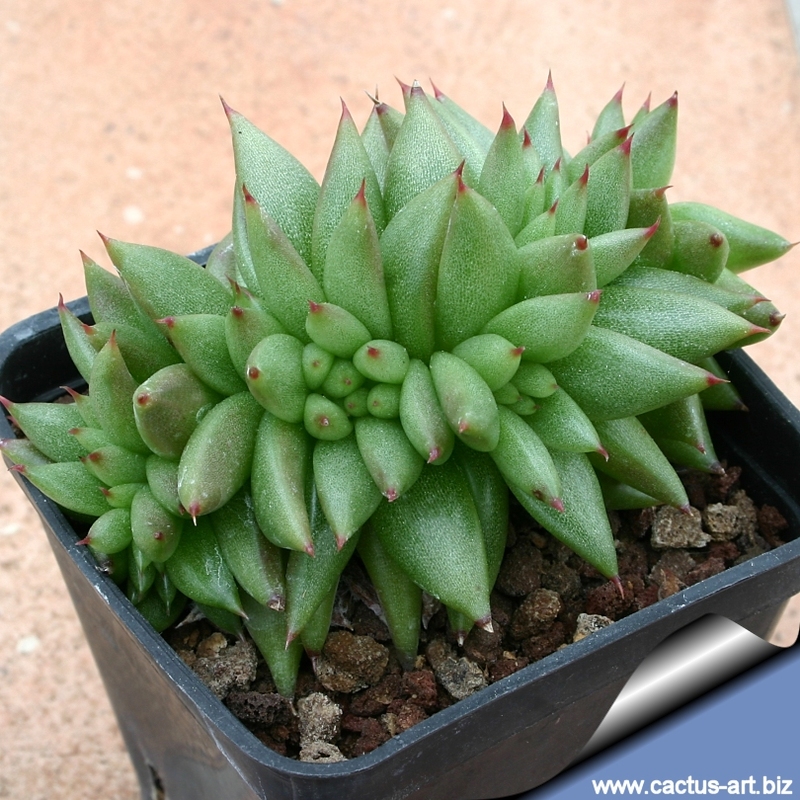 Description: The standard Echeveria agavoides is a stemless, star-shaped rosette of fat leaves up to 20 cm in diameter. It is often solitary, growing offsets only slowly or not at all. is a variable plant; some forms have reddish tips and some forms have slightly red to very red margins. 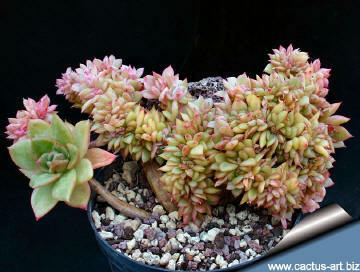 This is a relatively common species, and quite fast for an Echeveria. It has also been widely used in hybridizing. The beautiful crested form develops fans of frosty green spikes tipped in red. 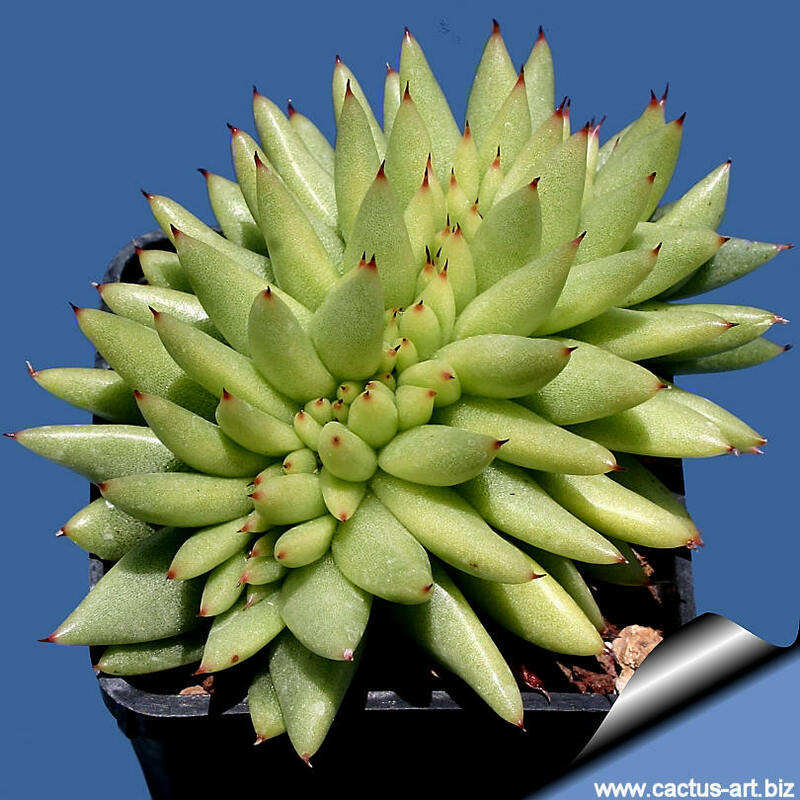 Also known as "Crested Molded Wax Agave", this is a thick and solid-leaved variety of the "House Leek", introduced from Mexico. 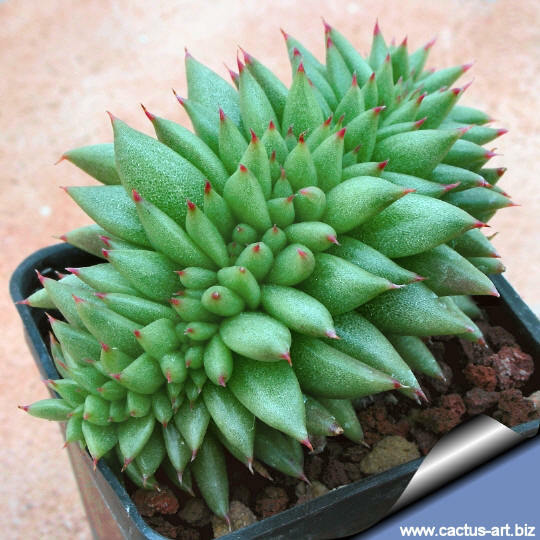 It will develop beautiful fans of frosty green spikes tipped in red. Propagation: Very easy to propagate usually by division of larger clumps.